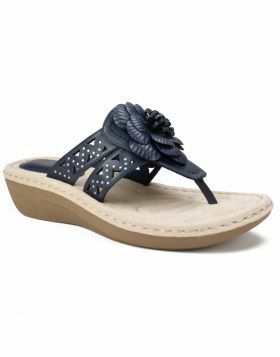 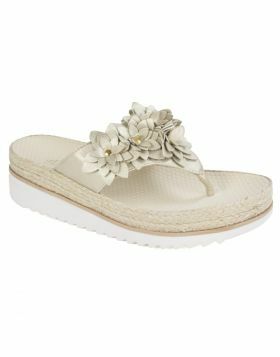 A lush floral applique blooms on top of the Terris thong sandal from Cliffs Shoes by White Mountain. 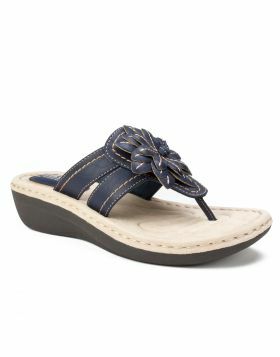 This playful summer style features a soft and molded suedette footbed for easy comfort. 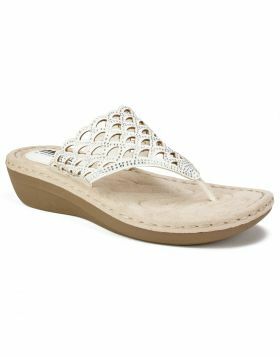 Heel height: 1 inch.